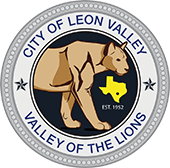 Waste Management recently sent many Leon Valley residents a new invoice for this period that zeroed out the balance but charged a late fee to residents for not paying this period of $5.00. If you received the invoice with the $5.00 late fee, please disregard this invoice as we have notified Waste Management that they issued this invoice in error and that our citizens would not be paying the invoice. If you still owe a balance to Waste Management for 2017, you obviously need to pay the past due balance. Again, please disregard this invoice. This was another billing error by Waste Management. Thank you for your patience as our transition continues.